Healthcare is going mobile which is changing the way healthcare is delivered. Today healthcare professionals use smartphones and tablets to do everything from remotely updating patient records to diagnosing conditions and monitoring sensor-equipped equipment in the patient’s hospital room. Connected medical personnel use a wireless network of mobile devices to communicate and collaborate with their colleagues down the hall and around the world. Home healthcare workers are using mobile devices to access and update patient care plans in real time as they complete their visits. Patients are being monitored remotely using diagnostic devices connected to smartphones. The new landscape of healthcare IT includes gaining complete, secure access on any device to all apps; logging into any station quickly and easily with a seamless, consistent session; accessing real-time information, and sharing EHRs as patients move among private practices, hospitals, clinics, and long-term care facilities. It’s a powerful new vision for healthcare—if you’ve got the tools to make it work. That’s where Citrix and BlackBerry come in. 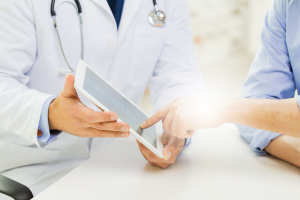 Citrix and BlackBerry healthcare solutions help organizations embrace mobile workstyles and cloud computing solutions to improve both patient care and organizational performance. Citrix’s healthcare solutions transform healthcare IT through enterprise mobility management, desktop and application virtualization, data sharing, social collaboration, remote support and cloud networking (click Optimizing Patient Care with Citrix Virtual Apps and Desktops for more information). As a Citrix and BlackBerry Platinum Solution Provider, we can help your healthcare organization by providing highly trained, dedicated consulting and engineering teams to deliver both Citrix and BlackBerry solutions and resolve complex issues quickly. Our project and support teams have successfully deployed and implemented healthcare IT applications (such as MEDITECH, Epic, McKesson, etc.) for the past 18 years. Working closely with these EHR software platform providers has enabled us to have a complete understanding of their applications and how they work with Citrix. For more information on IntraSystems healthcare solutions, Contact Us or send us an email at intrahealth@intrasystems.com.